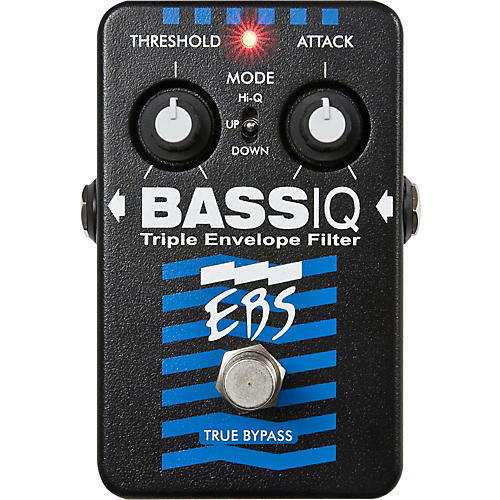 The EBS BassIQ Triple Envelope Filter delivers big, bad, and luscious funk bass sounds. It gives you 3 different modes to choose from: Hi-Q, Up, and Down. Up mode is the classic envelope filter sound while Down, as you'd guess, is the opposite; it reverses the attack of the filter. Hi-Q delivers auto-wah type effects that react to your playing touch. Threshold and Attack knobs let you get it on with the right amount of funk.